My son and his girlfriend spent a week in October at this hotel. My son has been abroad alot and his girlfriend had never been abroad so both ends of the spectrum. They found the hotel clean although basic but at this price was excellent for the money. They said the owners were wonderful and they had a wonderful full english breakfast for 7 euros for the two of them. The weather wasnt too good but obviously nothing to do with the hotel. For a inexpensive but very enjoyable holiday they thought it was excellent. It was a present from us so we were very pleased. Well, my daughter and I were worried about going to Two Brothers when we had read all the reviews but we had a great time. The room was basic but what do you expect for the price! We didn't go to to sit in the room! The beach is a ten minute walk away and was lovely. The restaurants were clean, welcoming and friendly. Food excellent - particularly Heaven's Kitchen and two or three others. We didn't go to the Olive Tree because we read loads of bad stuff about it. There is a little take away place at the end of the main road which does cheap and filling snacks. The supermarkets were good, the cigarettes were cheap, the restaurants were surprisingly reasonably priced. We got great copy sun glasses and hand bags. The Boat Trips were lovely. It was a lovely relaxing holiday and we met many really nice people there. The Brothers themselves were quite nice - as far as the language barrier permitted. The maids did not steal from us but then we didnt leave anything valuable in the room. Everyone was very nice to us. The only thing that annoyed me was that we arrived early morning and therefore this counted as our first night so we were short a night at the end of the holiday and they wanted 30 euros to keep our room on. we decided not to do this and sat out by the pool until the coach came at 3 in the morning! One other thing - you will be on a coach and flight with people who have been to Laganas which is the drinking capital of the island so be prepared for drunken youths on the journey home! my partner and i stayed there for 2 weeks last may . reading about everyones whinges and moans im miffed (what do these people want for �700 for 14 nights)obviously they got f**k all else to do!charlotte our rep was brilliant so were panos costa and the sisters. I think some people expect 5 star accomodation when visiting the greek isles when, in reality, apartments rarely meet those standards! Most accomodation is basic to say the least but sufficient for a comfortable 2 week holiday and the two brothers is no different. After all, who spends most of their holidays in their room? All you need is a base - bed, shower, toilet and be able to make a cup of tea or coffee. Stayed here for two weeks 14th - 28th September. We were allocated a room in the block run by the girls, basic but clean. Clean towles and sheets regularily and the girls were very nice if you tried a little greek on them. Only real gripe was having to pay extra for the last night, we were being picked up at 4 in the morning and shou;d have been out of our room by mid-day the day before. So we had to pay an extra 30 euro. Stayed at the two brothers apartment for 1 week, I would'nt keep a rat in the rooms we had to stay in! there was blood up the walls of splattered mosqeutos. Had to buy our own toilet rolls, the bath mat was filthy, with dirt from past stayers at the apartment, there was tape on the cooker covering the cord! which looked like a quick cover up,,great when you have to cook on the draining board! shower was falling to bits, the table cloth was filthy! It stunk of rotten cabbage (i though i'd entered my local allottment) . The door handle was hanging off, the cleaners kepted opening the doors when we was out,,I would like to know why they was in our room,,cause it was'nt to clean!!!!! Had a bad back every day from the beds, the pillows were like rocks! we had to fold towels up to make it more comfortable on top of the pillows. When it came to keeping on the room on the last day was charged 30 euro's, when others had been charged 20. We was also told by one of the cleaners we had to be out by 12.00pm, when we went to pay we was told we had to be out (move rooms) by 10.00am. All in all I have nothing good to say about these appartments!!! oh and sorry but the cleaners were rude!!!!! I cannot under stand the people who rated it 10/10, must have low standards thats all I can say! But loved the resort and other hotels which welcomed us in! Returned from second visit to Two Brothers on 2nd July and must say my boyfriend and I both enjoyed our two week holiday. Costas and Panos were as helpful as ever and we had no problems with the sisters. We stayed in their block, the room was cleaned everyday - toilet roll was supplied when needed. If i had to complain it would be the wet bathroom after the shower but there is a mop and bucket in the corridor which we gratefully used. All in all this accomodation is no better or worse than any other you would find on the greek islands. Location is perfect. It's a quiet area but only a stones throw away from the main street. The pool was very clean and well looked after and we would have no problem staying there again. First holiday away together with my boyfriend, was nice until we got to the hotel, bathroom stank, maids were really rude. When they eventually cleaned the apartment they left windows wide open and i had gifts stolen from my suitcase that were for people back home. Will never go back to two brothers. 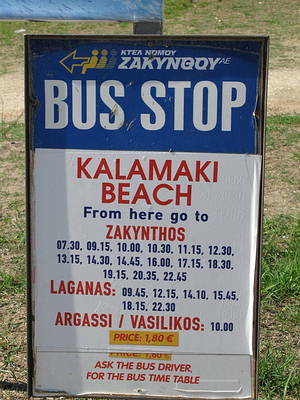 have to say kalamaki was a lovely resort though. The Two Brothers, more like The Two Misery's, i have never stayed at a Greek hotel where the owners have made me feel so unwelcome. the hotel staff were ignorant especially the maids who were frankly money grabbing blood sucking leaches, all they were interested in was getting as much money out of you as they could and put you in awkward situations regarding money. On the day we were leaving we had a night flight so we paid an extra �20 to keep the room for the afternoon and when it came to having a shower the maids had turned the hot water off and refused to do anything about it which i thought was disgraceful. Outside the hotel me and my girlfriend had a great time and we just made sure we were drunk enough by the time bed time came as this was the only way we could get to sleep from a mixture of the marble slab beds and the paper thin walls (not a place for kids ). I do not recommend this spot at all. My friend and I stayed at Two Brothers from 12th - 19th October 2008. It was very pleasant and relaxing, accommodation was good, basic but clean, what you would expect from a Greek apartment. Only complaint was that they didn't sweep the room or wash the floor in the bathroom, so by the end of the week it really was messy. Although nothing stopped us from doing it ourselves - but I'm on holiday!! The pool was clean and not all that packed, however we spent most of our days on the beach but didn't spot any baby turtles. As it was coming to the end of the season it wasn't busy but they wanted 8euros for a sunbed each..so we bought airbeds for 3.50euros these lasted the week and we used them in the sea! The night time was very quiet but enjoyed the meals at 'Heavens Kitchen' - highly recommended also the bakery with fresh home made cakes...'Down Under' bar run by Nick, he kept us entertained and supplied way too many free shots. Weather was great apart from the evening before and the day we came home full on thunder, lightening and rain. However brilliant holiday just what the doctor ordered. Hi, stayed here for a week from the 28th September 2008. Loved Kalamaki and met some really nice people. The pool area always seemed clean and tidy, the rooms are not bad better that i expected after reading some of the reports on the internet! Found the Kitchen area useful especially the kettle and toaster as i have a little boy(21month) who always wants toast first thing in the morning and my partner doesnt wake up without a cup of tea. We was in the block which the ladies look after, i did find them quite ignorant, infact i dont think they acknowledged us once! Would go back as all you need is a bed to sleep in and somewhere to shower. The tiled floors are very dangerous especially for people with young children. Make sure you dont leave anything of value out as the cleaners leave the patio doors wide open! Me and my mum stayed here between 28th august til 11th september. We are absolutely appalled by the accommodation provided to us. 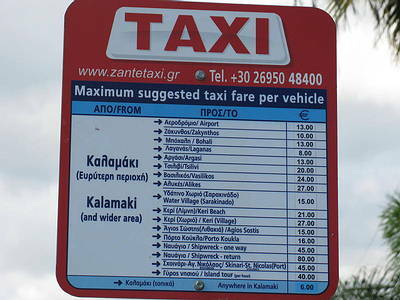 I am particually angry with the image English people have about greek people and the way they live. they are not uncivilised. they dont live in sheds. the accommodation given to us was terrible and i know for a fact that greek people would not live in these conditions in their own homes. I found out a few days in to my holiday that there are two buildings but they are owned by two groups of people. We was in the Girls Section run by a group of women. they have nothing to do with the two brothers. they just happen to share the same pool. that is the only connection. I found the women to be incredably rude. This was a general opinion. I have stayed in different parts of greece for many years and I have never come accross a place where you have to wear armbands to come out of the shower or even use the toilet. I have to re-wash my feet just from walking OUT of the bathroom. Every time I emptied the sink in the kitchen, the water would come out of the bathroom floor and it smelt of sewage. It was never cleaned. I had never witnessed the cleaner even wiping the toilet seat down or using bleach. there was toothpaste marks all over the mirror cabinet and that was from when we first arrived. Our balcony was situated on the ground floor. We had no privacy what so ever. We had to use the bathroom for any sort of privacy. it was a night mare. I felt like I was on big brother. The storage was none existant. We had ONE draw (which meassued 30cm in length) between us. Not ideal what so ever. I think you have got a good idea of how I rate this place and I will certainly not be visiting here again!! We stayed at the Two Brothers Apartments in Kalamaki for a week in September 2007 � very laid back, quiet and had a nice pool area. Very clean and simple room, with fridge, kettle and balcony, perfectly adequate for our needs. However, make sure you have spare loo roll as they are very stingy! The towels have seen better days too. If you want them changed mid-week throw them on the floor as they don't bother otherwise. A couple of occasions the cleaners left our balcony doors open which we weren't too happy about! However nothing was stolen. Only had breakfast there once � not very impressed with the microwaved chocolate croissants which tasted funny. The rest of the time we bought our own breakfast and ate on our balcony � a good way to socialise with the neighbours. The Two Brothers is in a good location being only 1-2 minutes from the main strip and 10-15 minutes walk to the beach and I would recommend staying here as well as Kalamaki. Me and the husband stayed at the two brothers for one week in sep 07. The rooms are fairly basic, no scope for making complicated food/drinks. The bathroom flooded each time the shower was used and the toilet wasn't too great, however, by greek standards it was acceptable. pool area was v. nice and owners very accomodating. corriders in between rooms are quite noisy so if you are bothered by this then this may not be the place to stay. location wise, 2 brothers is perefect for bars and restaurants and is about a 15 min walk to the nearest beach. Stayed at the Two Brothers for two weeks, met some great people there, found the staff really friendly if anyone is going please tell Katerina who owns one of the blocks that margarita will write soon. We heard reports of the maids stealing I think it was rubbish as I had left everyting lying about the room and not one thing was stolen, we found the girls extremely helpful at the end of the day if you treat people well they will respond in kind. Have a great holiday I intend to go back next year. No problems with the 2 brothers apartments, great location, 5 minutes from airport, 5 minutes from main part of Kalamaki and if you want a mad night, Laganos only 5 minutes in a taxi. Really enjoyed the visit, would defo go again. Rooms were basic, but clean and fine, staff were very friendly, food and drink at the bar were good, nice and cheap, swimming pool was very good. Met loads of friendly people by the pool, hello to Lee and Hayley, Emma, ( sorry Emma lost my phone so havent called, gutting ) Laura and Julie. Kalamaki was good, busy enough for a night out and some good restaurants there, we found the mermaid the best, local bar called the venue, where they done proper English food and were very friendly, they aslo Karaoke most night and a entertainer who is funny enough, plenty of bars there for a night out. Laganos is a different kettle of fish, we went there for a few nights and it was mad, very busy, glad our hotel wasnt there, average age there probably about 18, and large groups of girls and boys, saying that we found a lot of decebt places for a good crack and laugh. In all I would say this one of the better holidays I have had and if you in a couple or with a group of friends then I would say yes if in a family maybe no. I have just spent 1 week at the Two Brothers Apartments with a friend. We had a great time and met loads of friendly people. Hi Sarah, Val, Pam, Pat, Dean, Christina, Paul, Kelly, Craig and Chris! The 2 brothers and all their staff were very helpful and polite. The rooms were very basic but quite adequate. The snack bar was very cheap for food and there are loads of restaurants to choose from nearby. I would recommend to others. yes in truth the accomodation is basic but functional criticsm has been made about the self catering facilities to me they are ideal cup tea in the morning fridge to keep water cold with the resorts main strip only five mins away why cook ? bar closing at night entertainment is laid on by panos and costas however as stated the majority of the guests are down town by 9 pm however if enough people are in the bar it will remain open remember costas and panos are there from 0630 every morning they need to sleep aswell !! I lived at the two brothers for the whole summer season the family who owned were very friendly and very welcoming. I would like to just set the record straight regarding the 'break ins' this only happened on two occaisions and both the rooms in question did not lock their doors, and one of the guests even blamed the representative for not telling them to lock there door! common sence you wouldnt do it at home so why do it on holiday! Break in are a problems in all holiday resorts all over the room and certainly not albanians with spoare keys as suggested down below! I would recommend then two brothers its clean basic and in a fantastic position to explore kalamaki!